When my husband and I are not in the mood to cook, we often order take-out from the Cheesecake Factory, which is located very close to our home. 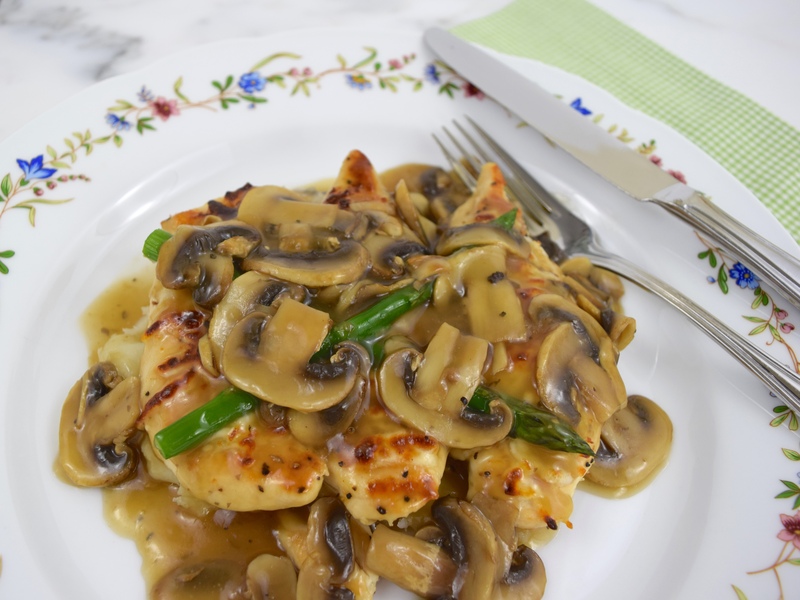 Our favorite dish to order is their Chicken Madeira with its rich mushroom brown sauce and buttery mashed potatoes. They give such generous portions, that we only need to order one. With the success of my “Chicken Piccata,” I thought I could make a healthier version of this delicious dish. As usual, I went to the internet to do my research. I found a Chicken Madeira recipe on Food.com by Todd Wilbur and adapted it to my tastes and cooking style. The recipe below is for two people, but you can easily double it. 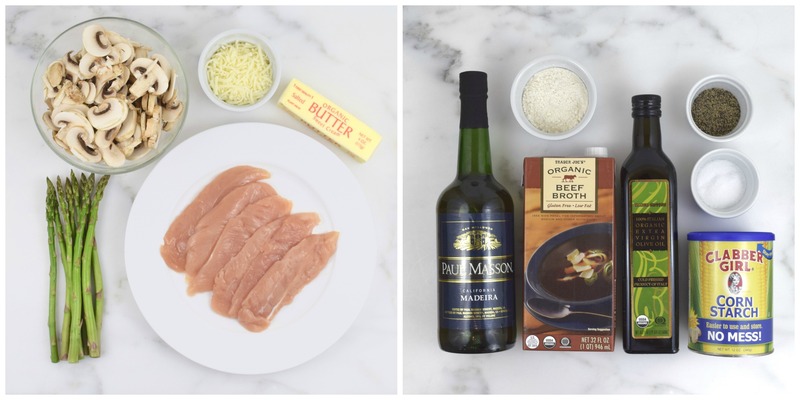 The chicken dish can be made gluten-free by omitting the flour and can be dairy-free by omitting the butter and the cheese. My husband and I absolutely loved this meal and I will be making it at least once a month from now on! Pound chicken tenderloins ¼” thin. Sprinkle tenderloins with flour. Season with salt and pepper. Using a large non-stick frying pan, heat 1 tablespoon olive oil over medium heat. Add chicken and cook for 3 minutes on each side, until golden brown. Remove from heat. transfer to a plate and cover with foil. Using a small dish, “dissolve” the cornstarch with 2 tablespoons water. Set aside. Steam asparagus over low-medium heat. Cook until al dente. Using the same frying pan, heat 1 tablespoon olive oil over medium heat. Add mushrooms and sauté for a few minutes. Season with salt and pepper. 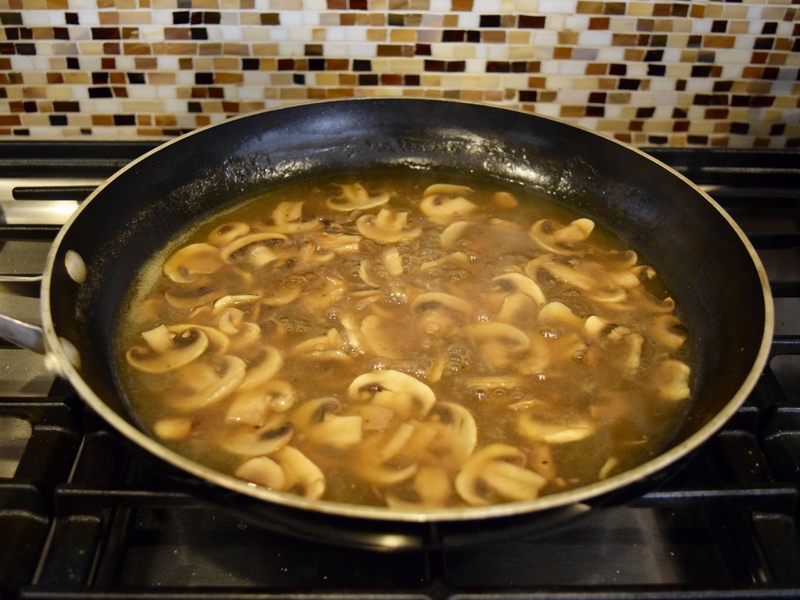 Add broth, Madeira wine, butter and cornstarch to mushrooms. Cook until sauce thickens and is a rich brown color. 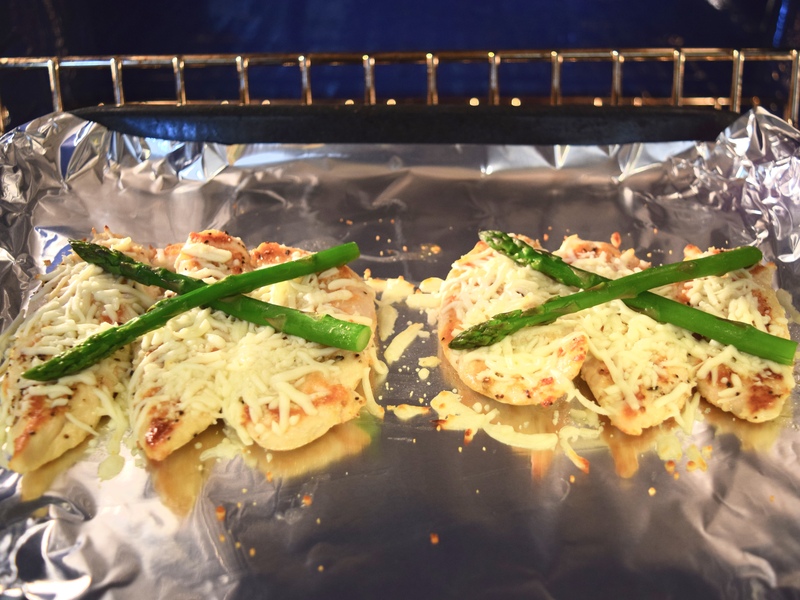 Place cooked chicken in a foil lined pan suitable for broiling. Group the tenderloins in 3s. Sprinkle with cheese. Finally, place asparagus criss-cross. Place in oven and broil for about 3 minutes, until cheese has melted and lightly brown. On a large plate, spread hot mashed potatoes, so that the chicken will seat nicely on top of it. Add sauce. Repeat again. Serve immediately. 2 servings. I’ve never eaten from Cheesecake factory yet! but I’m sure if I make this, I wouldn’t have to! It looks delicious and so simple to make too! Love the flavours 🙂 Definitely keeping this recipe! Thank you for sharing this recipe!! Happy FF! 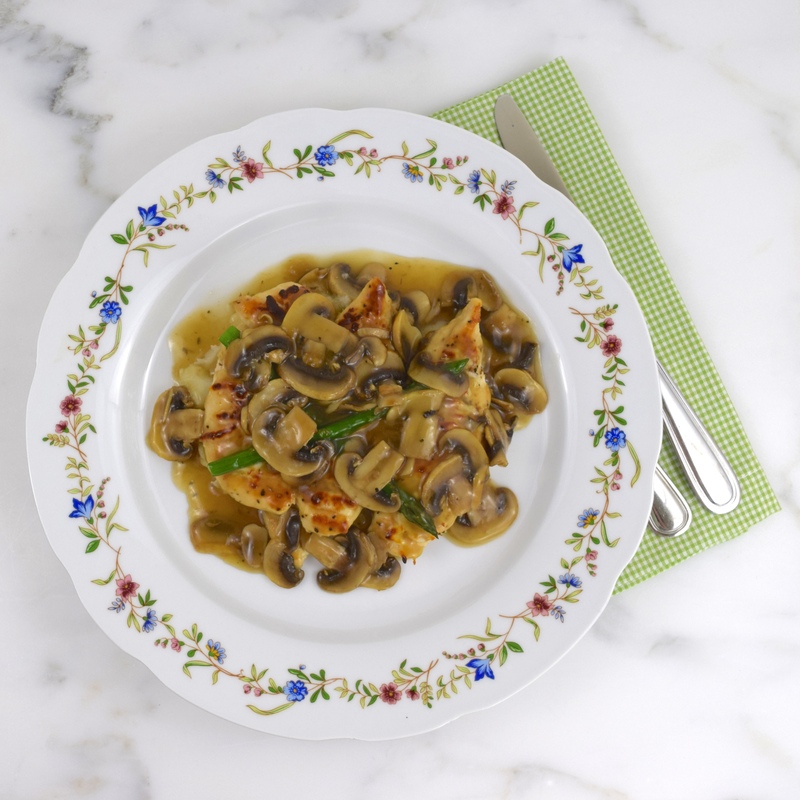 I just love mushrooms, and this dish looks delicious! I wish I lived close to the Cheesecake Factory for a takeaway (am UK based), I always make sure I make time to go there when on holiday! I am jealous that you live in the UK! You have so many great places to eat there. Thank you and give the recipe a try! This is a beautiful recipe and the asparagus is such a nice touch! This has got to be much healthier than anything at the cheesecake factory! Plus no tempting cheesecake? Happy FF! Thank you so much! I hope you try it someday!